The warmest garment we make. 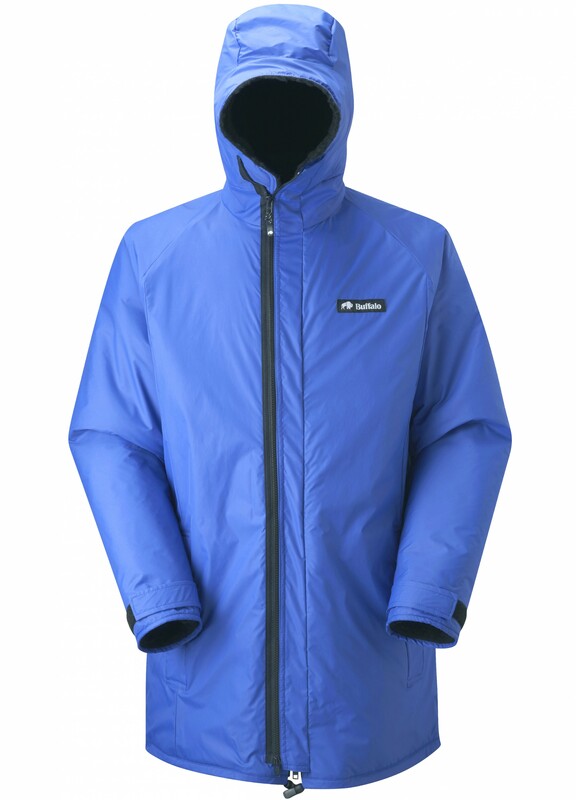 This jacket is at home on ice covered spray lashed decks in the South Atlantic with round-the-world yachtsmen, or in Antarctica with the British Antarctic Survey staff for whom it was developed. Two way double zipped storm baffle. Two storm baffled zipped pile lined pockets. 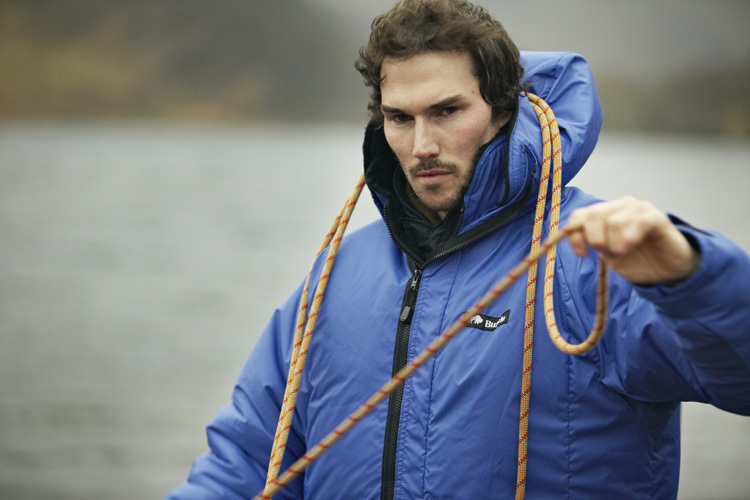 When the front zips are zipped right up it draws the fixed snorkel hood close around the face. i wish the jacket would zip right up in front of my face when the hood is down ! the inner fleece is very warm and furry but i will see how it wears ……? all the reviews i have read on buffalo jackets are all good and they seem to last for ever. apart from a few minner problem it looks like i will be getting lots of years of use out of this jacket ? Recently happened on one of these in a consignment of ex-British Antarctic Survey gear, I snapped it up as an extra-beefy belay jacket for winter climbing; First impressions were that it really was *very* warm and that it had stood the test of time rather well indeed (it hails from the Buffalo Professional System era, with the older logo). The pack size was not ideal, but when I eventually got to a situation where my Special Six was not warm enough on its own (immobile on a ledge, in a blizzard of wet snow, buffeted by icy winds, I instantly decided that it was a good call bringing it along; even unzipped it offered an instant relief from the worst of the weather and when I finally got a moment to zip it up and open the bottom zipper to free up access to my harness, I was well and truly toasty. I particularly appreciated the longer length in that situation as it offered a further layer of insulation for my posterior, just the ticket when you’re sitting on a cold wet surface. Now, that aside the description really isn’t over-hyping things when it says it’s ideal for users in inactive situations; I’m struggling to see if I’m ever going to have call to use it other than being immobile in the very worst of conditions, in normal (or even abnormally cold) British weather, using this as an over-shell is going to be almost uncomfortably warm to be doing anything that generates heat. I have an old BAS one too. I use it extensively for work, remaining stationary for extended periods of time. Good points: Very warm, excellent hood, excellent wind resistance and simple reliable design. Not so good points: Arms of the parka are quite short, zips are fiddly with gloves on, though this may have changed on newer parkas. The cut is a bit basic, being tight around the shoulders and the pockets could be better positioned to enable access when wearing a rucksack. We have increased the length of the sleeves over the years, so this is hopefully not an issue any more. Thank you for the comments on the pockets though. I purchased an ex BAS one also. Used it for walking in Co Fermanagh during winter. This is an excellant piece of kit. As always with Buffalo, “it does what it says on the tin”. This will last for years. Buffalo appears to be the choice of us Feramanagh Scout Leaders and we do test them. It is a great thought that it is manufactured here in the UK. 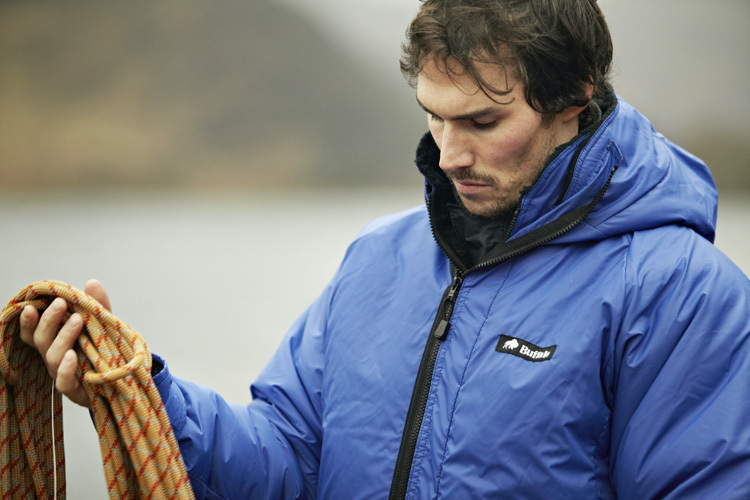 We use smaller zips as they are lighter but also very strong. On the Parka’s on other cold weather Jackets, we do put longer pullers on the zips so they are easier to grip, as you have pointed out.